New Albany schools' students maintain their edge, participating in 21st Century Summer learning programs. Summer Writing Club tours museum. 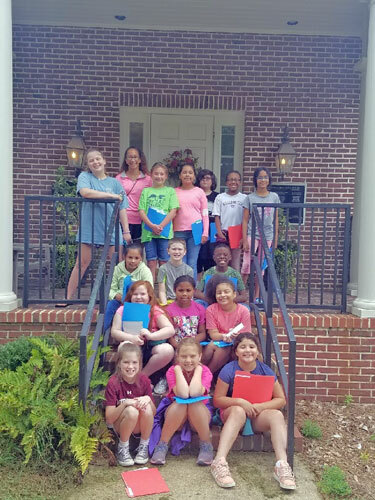 The 2nd-5th Grade Summer Writing Clubs from New Albany Elementary School visited the Union County Heritage Museum on Wednesday, June 20. Students listened to a story, played story writing games, and wrote their own story. They also saw and made a wish at William Faulkner’s Blue Wishing Tree. New Albany Summer Writing Clubs toured the Heritage Museum. 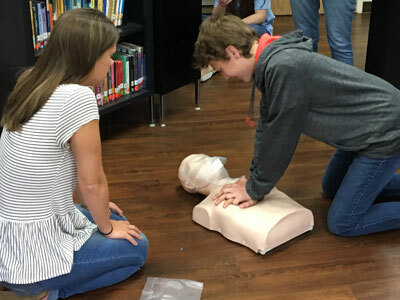 Stefenie Hodges, of Baptist-Union County, teaches about CPR. 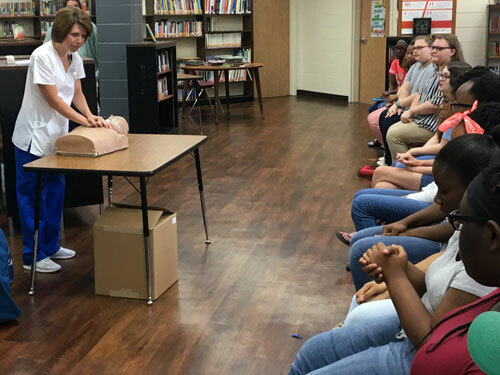 Stefenie Hodges, Occupational/Community Health Nurse Coordinator with Baptist Memorial Hospital – Union County presented a CPR education program to students involved in the New Albany Middle School’s 21st Century Community Learning Center Summer Program on Tuesday, June 19. Students were able to practice some of the skills that Hodges explained and demonstrated for them. 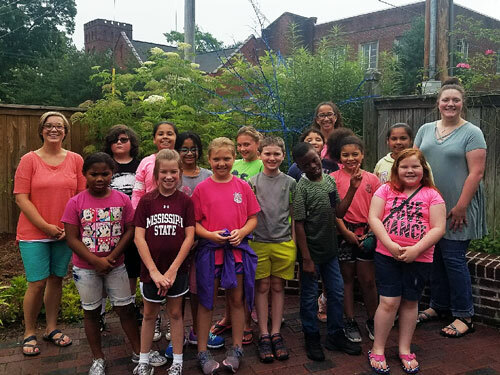 Students from the New Albany Middle School’s & New Albany High School’s 21st Century Summer Program visited the Union County Heritage Museum on June 12. Students enjoyed viewing the indoor and outdoor exhibits as well as playing outside games such as horseshoes and washers. New Albany students maintain their edge, participating in summer programs. New Albany schools’ students maintain their edge, participating in 21st Century Summer learning programs.